. استمتع بالخدمات الراقية والضيافة التي لا مثيل لها بهذا الفندق في ديلسفورد وماكيدون رينجز. هذه بعض الخدمات الموجودة في هذا الفندق: تسجيل وصول/خروج سريع, صف السيارات, غرفة عائلية, مرافق للشواء, خدمة غسيل الملابس. في الفندق غرف نوم يتجاوز عددها 9، كلها مجهزة بعناية وجمال وبعضها مزود بـ تلفزيون بشاشة مسطحة, حوض الاسترخاء, غرف لغير المدخنين, مكيف هواء, تدفئة. سواء كنت من محبي الرياضة أو كنت تتطلع لتفريغ عناء نهار صعب، ستجد خدمات ذات مستوى عالي بانتظارك كمثل مسار جولف - ضمن 3 كم, سبا, حديقة. اكتشف مزيجاً ساحراً من الخدمة الاحترافية والخيارات الواسعة من وسائل الراحة والمتعة في Hepburn Villas. 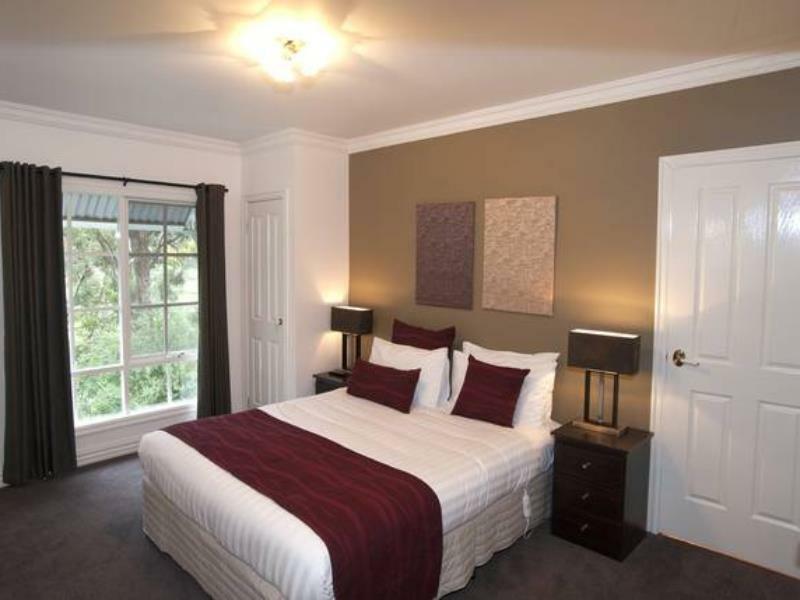 Wonderful self-catering villas nestled in Hepburn, relaxing natural backdrop, close to all Daylesford and Hepburn offer. Would come back again! Tony and Xun, the owners, text us the check in info the day before my stay. They responded very quickly with my queries. They even took the care to ask me what time so that they can switch on the hearing in the villa before I check in - the villa was warm by the time we arrived! Thank you Tony and Xun. The villa was well furnished and clean. The surrounding was quiet and beautiful. I wish I can stay longer to enjoy the villa and surrounding more. Tony and Xun had sufficient info in the welcome pack to help me with food and attractions as it was my first time in Hepburn Spring. Thanks for the bottle of wine and the many nice things on the table and fridge. Highly recommended. We had a wonderful relaxing stay at this beautiful appointed villa - Ideally located in Hepburn Springs to everything we wanted to see and do. Would highly recommend and definitely would like to return. It was a very nice, clean and modern/old style, fully self-contained villa. Recently renovated, with the new bathroom and a spa. Quiet surrounding (one morning we had a visiting kangaroo! )amongst trees and bushes. And, yet, close (walking distance) to the Hepburn Springs spas and restaurants. We loved it and hope to be back! Recommend. 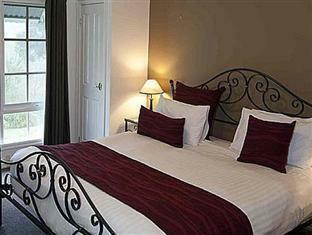 we were impressed when we first arrived - the villa was quite large and nicely furnished in a nice garden setting. however we were disappointed that the spa was not working and had not been for some time. further disappointment came when we saw the abundance of mould in the shower but the biggest disappointment came from realising that the fridge didn't work. 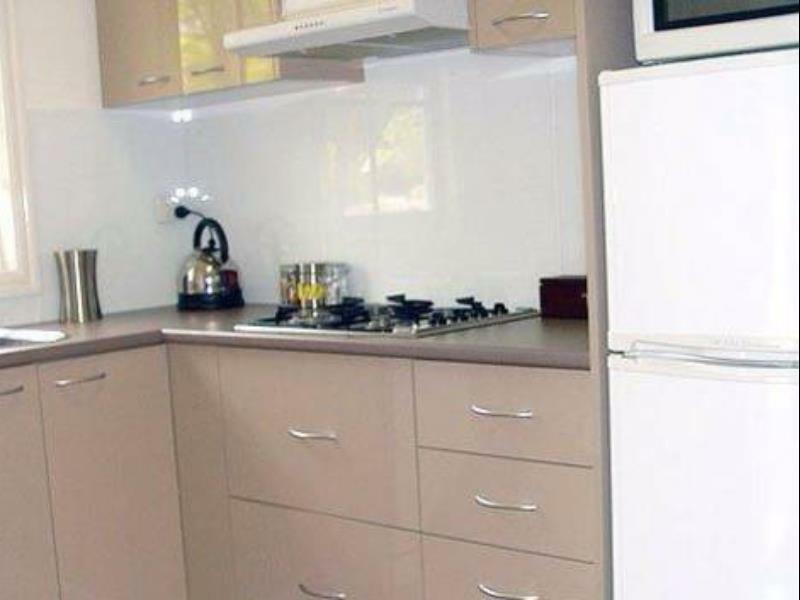 this property has no dining facilities but does have everything you need to cater for yourself. unfortunately with the fridge not working, we had to throw out most of our food. this was a shame as otherwise it was a very nice villa. Peace and quietness, the villa was fantastic and the facilities inside the villa. We stayed for 2 nights in a king villa - the Lucini villa. When we arrived we were very pleased with our room. It was warm, welcoming and we loved the layout of the room. It has a heating panel in the bedroom, a gas log fire and reverse airconditioner in the living area and heating lamps in the bathroom - no reason to be cold! 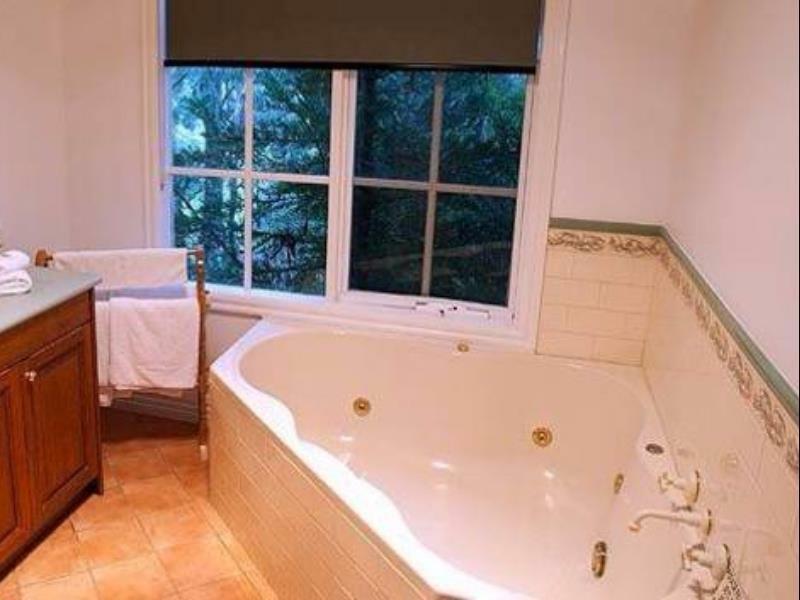 We just loved that everything was in the room - from the fridge, microwave and dishwasher to the lovely bathroom and candles around the bath and also on the fireplace mantel. The bed was comfortable as were the pillows! The view of the woods was lovely and it was very peaceful. It helped us really wind down and relax. It was very nice to sit on comfy furniture and read and watch TV! There are three sets of two villas. The two villas are joined and have a inter-connecting door. When we checked in our neighbours were already there and we could hear them talking etc. We could hear them running a bath/spa, cooking breakfast etc but we tried to tune them out as much as possible. At least there is a bathroom (on both sides) between our bedroom and theirs... Still this is a much better option, both from a space perspective than a hotel room (and also has more character) and a financial one as stand alone villas seem to cost so much more. You are a couple of minutes by car away from Daylesford and only 500m from a wonderful restaurant called Rubens (see my review on Rubens). If you don't mind driving to most attractions I would highly recommend Hepburn Villas. We will certainly recommend to our friends and would stay here again! It was a great long weekend - one that we will talk about for ages to come! Thanks again!!! wonderful, would like to definitely come back again in the future. Gas open fire, large space and comfortable. We loved the unit. Our stay was in winter but the rooms were warm and cosy with no less than four heaters throughout, including a gorgeous Victorian style fireplace which was actually a convenient gas fire, which added so much to the atmosphere.